After 600 cycles the longevity test is still running. At 600 cycles, Battery Equaliser treated batteries were still in 5 Ah operating condition (untreated less than 3 Ah) and the longevity test is still running. 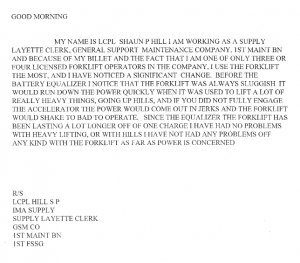 MAE Enterprises tests Battery Equaliser on complaint ridden golf cart #112. 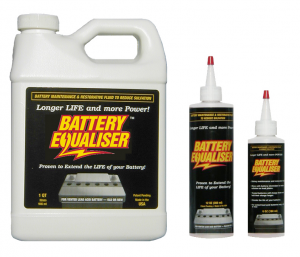 Neal Smith, President of Little Egypt Golf Cars Ltd. found Battery Equaliser to be a great product offering immediate real world results.